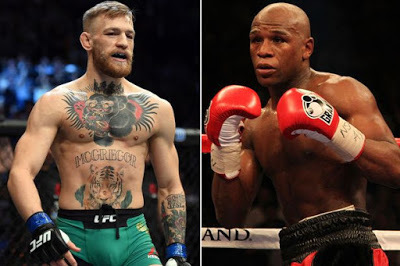 Mayweather has already been made the overwhelming favorite as the fight between him and Conor will be a boxing match with McGregor, a kick boxer/martial artiste never engaged in a professional boxing fight before.. But Mayweather has insisted that Conor can still match him in the ring as a boxer. 'I mean cause every time Conor McGregor goes out there and compete and win, he do it standing up,' Mayweather said in response to the idea that he'll defeat Conor. 'When Conor McGregor did lose, he lost on the ground. He didn't lose standing up. So he's a hell of a fighter and a very, very tough competitor and he has the will to win. We don't really have to talk about that. We already know what my number is. My team and us, our number is there,' Mayweather said reference how much guaranteed money he would need to fight McGregor. 'He has to get his thing in order with his team.